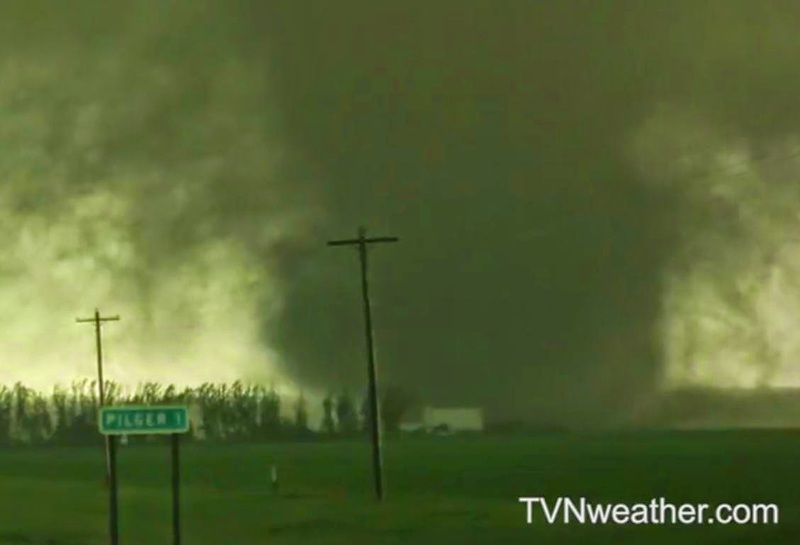 This is a collection of links to the massive number of news stories and videos relating to the "twin tornadoes" that struck northeast Nebraska on the afternoon of Monday, June 16, 2014. These links are included in no particular order. There are so many stories and videos that it would be impossible for me to organize them all in chronological order. This post will be continually updated with more information as I become aware of it. All UPDATES will be added to be bottom of this post. Post by Reed Timmer: Meteorologist and Extreme Storm Chaser. Post by Nebraska Emergency Management Agency. "Mercury One charity announced on Monday night that they would be deploying five tractor trailers full of supplies to the affected areas." PILGER VOLUNTEER UPDATE: Emergency officials say anyone willing to volunteer in Pilger tomorrow is to check in at Wisner-Pilger High School at 7 a.m. Wednesday. They will be bused in and out of Pilger. Volunteers MUST be 18 years or older and be wearing work-ready clothes. Anyone who is volunteering heavy equipment will be allowed to drive their equipment directly to Pilger, also starting at 7 a.m.
CBS News: "We could feel the suction try to pull us out of there"
This video is 7 hours and 36 minutes long. It is this crew's entire day of chasing storms. There are on-screen links at the beginning of the video for you to click on that will take you to the point in the video where each tornado is sighted.